// Specify the response type which should always be "code". // Set the redirect URL. Adding the percent escape characthers is necessary. 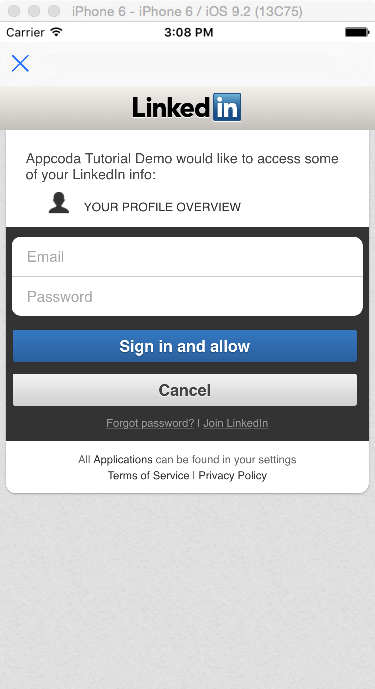 // Create a random string based on the time interval (it will be in the form linkedin12345679). (See more about URL-encoding here). Our next step is to compose the authorization URL. 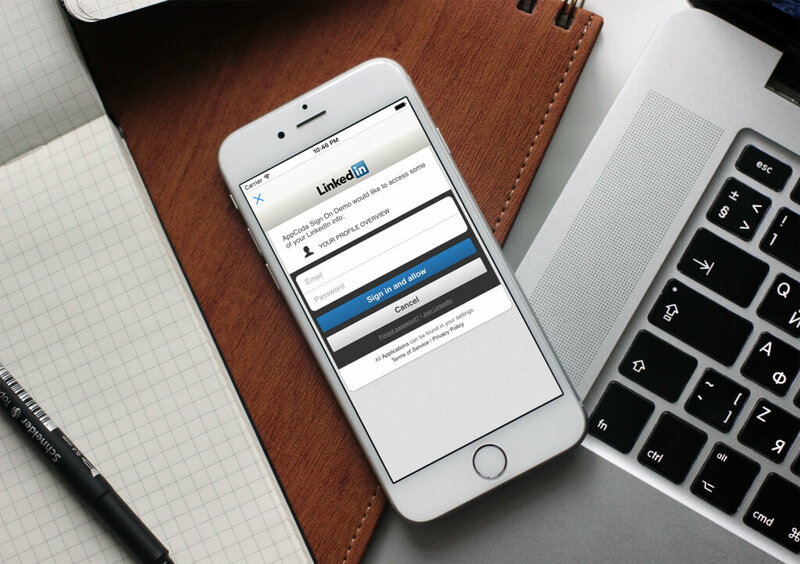 Note that the https://www.linkedin.com/uas/oauth2/authorization URL must be used for the request, which is already assigned to the authorizationEndPoint property. // Create the authorization URL string. 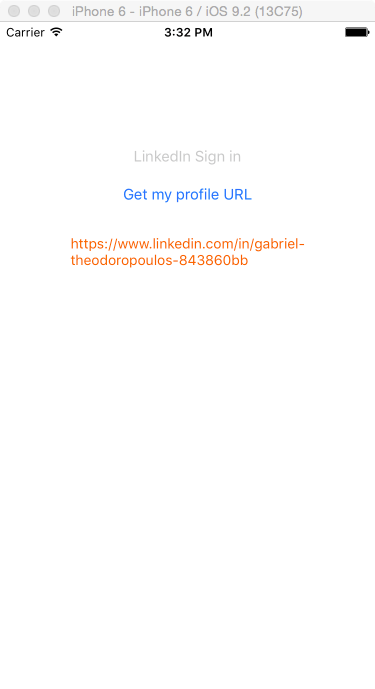 // Create a URL request and load it in the web view. // Extract the authorization code. grant_type: It’s a standard value that should always be: authorization_code. code: The authorization code acquired in the previous part. redirect_uri: It’s the authorized redirection URL we’ve talked about many times earlier. client_id: The Client Key value. client_secret: The Client Secret Value. // Set the POST parameters. // Convert the POST parameters into a NSData object. // Initialize a mutable URL request object using the access token endpoint URL string. // Indicate that we're about to make a POST request. // Set the HTTP body using the postData object created above. 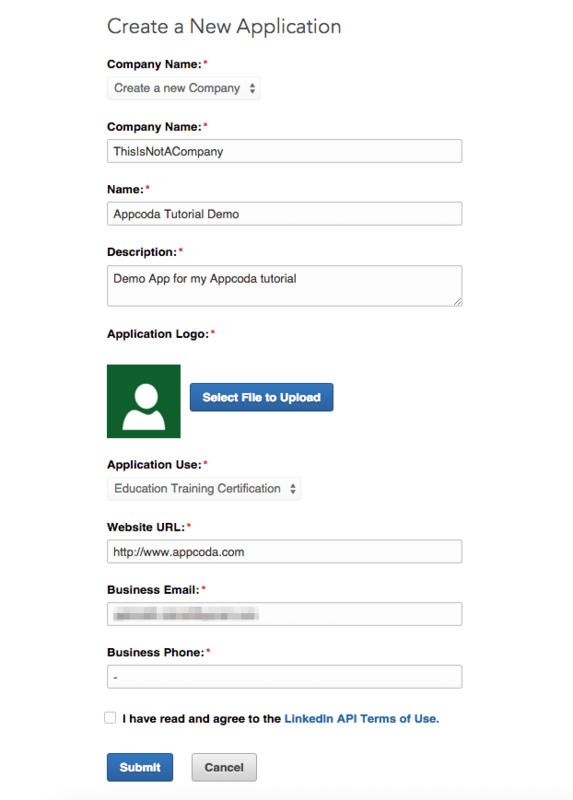 // Add the required HTTP header field. // Initialize a NSURLSession object. // Get the HTTP status code of the request. // Convert the received JSON data into a dictionary. Our ultimate goal has been finally achieved! We managed to acquire the access token that will “unlock” several API features. // Specify the URL string that we'll get the profile info from. // Initialize a mutable URL request object. // Indicate that this is a GET request. 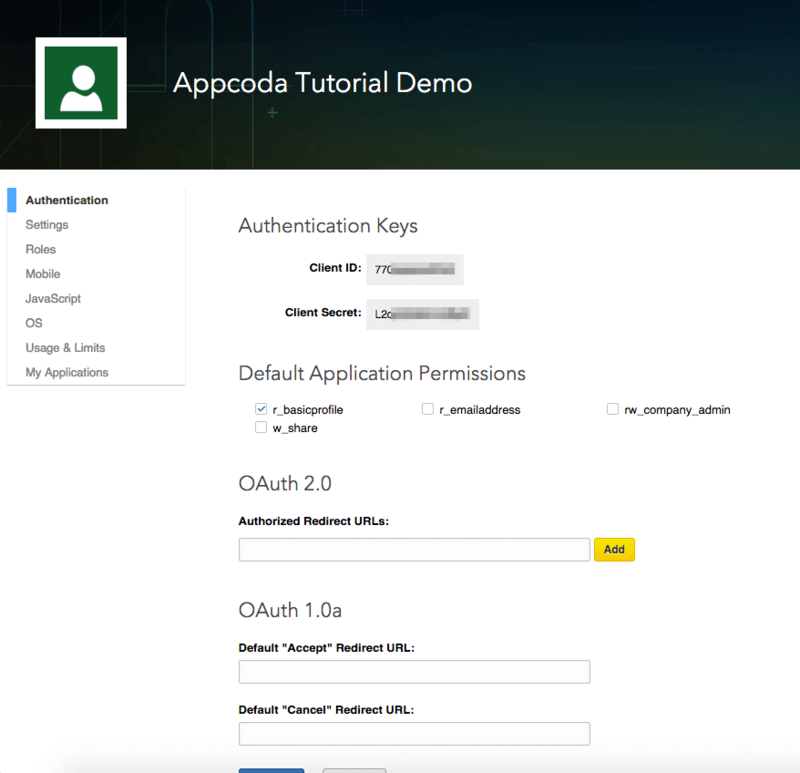 // Add the access token as an HTTP header field. 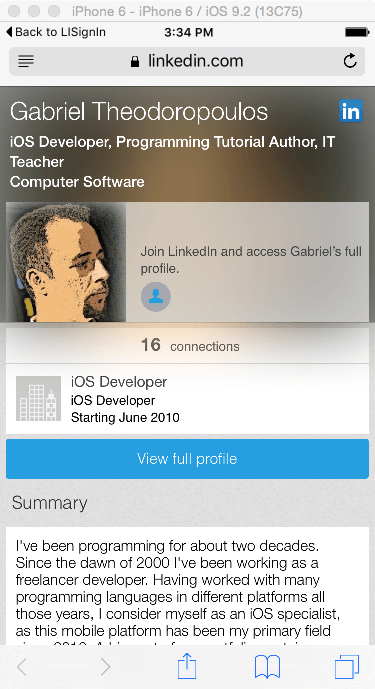 The last line above will trigger the appearance of Safari, which will load and display the profile webpage.